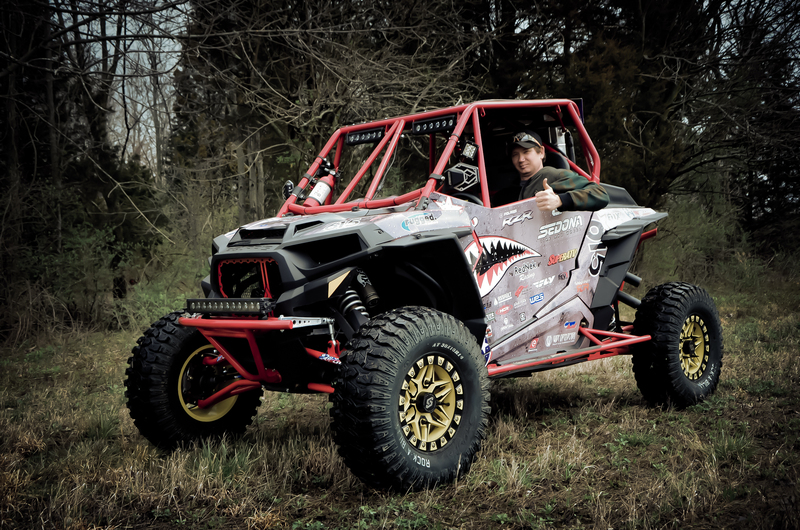 Nitro Circus Team Member Hubert Rowland will embark on a more than 5,000-mile cross-country UTV drive at the end of July (formal date to be announced) leaving from the South Carolina coast. Traveling 200 miles per day, his goal is to reach the Oregon coast within four to six weeks. Rowland not only serves as action sports legend Travis Pastrana’s mechanic but is also a stunt man himself. Additionally, he is an engineering mastermind and renowned track builder for Nitro Circus, Monster Energy AMA Supercross, Monster Jam, X Games, Global Rally Cross and several other entities. Rowland will be behind the wheel of a Polaris RZR XP Turbo, with a second personality in a Polaris RZR XP 1000. A third vehicle, the Polaris General, will be driven by guest celebrities joining for select segments. Pastrana will be one of the celebrities making an appearance. Additional celebrities will be announced at a later date. Two additional friends will ride-along and rotate driving on the journey. Rowland wants to have fun and show people that there are different ways to travel across the country, all while gaining a better understanding and appreciation of different communities throughout America. Off-road enthusiasts are able to set out on more adventurous trips thanks to innovations from brands like Western Powersports, Sedona Tire and Wheel, Fly Racing, Polaris, SuperATV, Fox, Assault and Sandcraft, all who eagerly agreed to back Rowland’s trip. Additional sponsors include Say I Won’t Clothing and Sena Technologies. Off-road enthusiasts are encouraged to live-track Rowland and his crew on www.huberttrax.com with the help of LeadNav, and then meet up to join him on the route with their own side-by-side machines. His route will begin on the coast of South Carolina and will pick up the Trans-American Trail starting in Tellaco Plains, Tennessee. He will continue through Mississippi, Arkansas, Oklahoma, New Mexico, Colorado, Utah, Idaho and Oregon. Videos will be updated regularly to HubertTrax.com. Updates can also be found at Facebook.com/NitroRedNekHubert and on Instagram at @NitroRedNekHubert. Hubert Rowland gained fame as the engineering mastermind behind most of the stunts on MTV's Nitro Circus, as well as 'Everyone's Favorite RedNek' in the cast. Now Hubert is a leading force in the world of UTV racing and recreation.